Bred as a multipurpose hunting dog, the German Wirehaired Pointer temperament is willful, loyal, and intelligent. German hunters were fed up with single-purpose working dogs (those who only pointed or retrieved). So they created a versatile, rugged breed: the German Wirehaired Pointer. 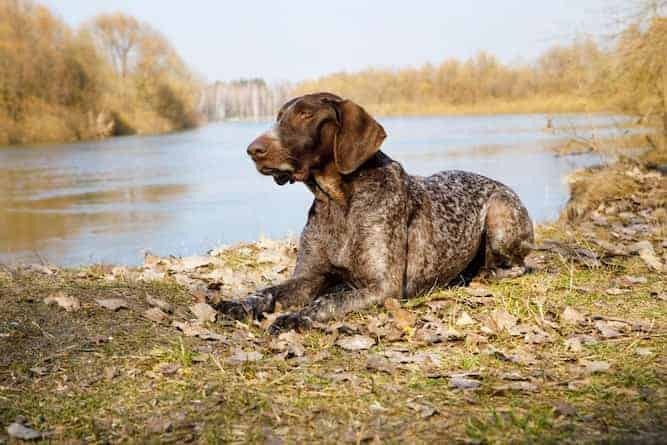 German Wirehaired Pointers would scent out, point, and retrieve multiple types of game from both land and water. German Wirehaired Pointers are very affectionate with their humans. When raised with a family, they are devoted to everyone but may have a favorite. Above all, they love human companionship. The German Wirehaired Pointer breed make great watchdogs – barking if intruders are near. They can, however, be possessive of things and humans. Watch them around strange or stray dogs as they will defend their family if they believe they are in danger. German Wirehaired Pointers are great companions for families with older children. Their size and energy level may be too much for younger children. They can be aggressive towards new or unfamiliar dogs but if raised with them, will get along perfectly fine. German Wirehaired Pointers can be anywhere from aloof to completely unfriendly toward strangers. This is an active and boisterous breed that is not suited for apartment life. A house with a fenced in yard is a must for the German Wirehaired Pointer. 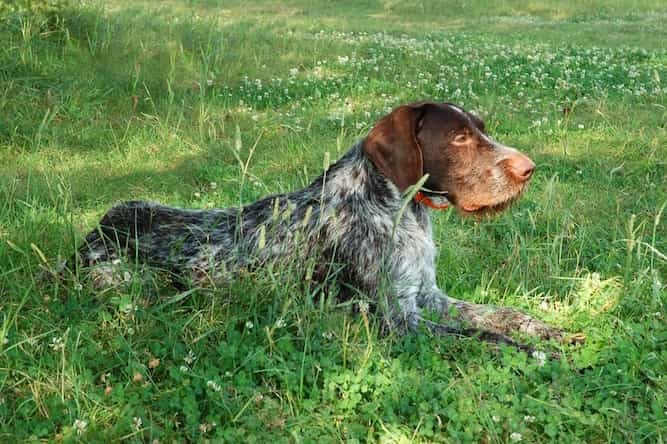 The intelligent German Wirehaired Pointer – like most other sporting breeds – does well with training. They are eager to please and responsive – but also independent thinkers. Stay one step ahead of a German Wirehaired Pointer or they’ll put their own twist on what you are trying to train. Be consistent with German Wirehaired Pointer training and use positive reinforcement methods like praise and treats. To avoid boredom, keep sessions short and fun. Thanks to their origin as versatile hunting companions and their extreme stamina, German Wirehaired Pointers excel in field sports. If you aren’t a hunter, channel their energy and intelligence into dog sports like flyball, agility, rally, and obedience. German Wirehaired Pointers also make excellent therapy, search and rescue, and drug detection dogs. Think the German Wirehaired Pointer will make the perfect addition to your family? Now is the time to decide whether to purchase a German Wirehaired Pointer puppy from a breeder or adopt from a rescue. Do you have the time to dedicate to a puppy? Or, does it make more sense to adopt an adult German Wirehaired Pointer from a rescue? Adults are often already housetrained and have a grasp on basic obedience commands. A great place to start your search is the German Wirehaired Pointer Club of America. They have information on breeders as well as rescues. Purebred German Wirehaired Pointer puppies for sale will cost between $700-$900. 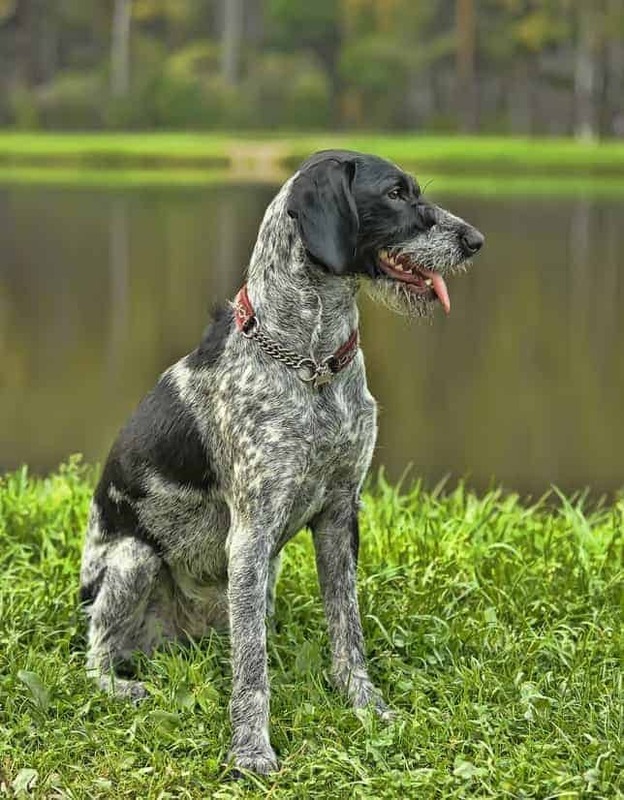 The German Wirehaired Pointer cost depends on litter availability, location, and pedigree. Expect to pay closer to $900 for a champion bloodline or show-quality dog. The German Wirehaired Pointer price for adoption depends on location and the rescue organization but typically costs between $200-$500. 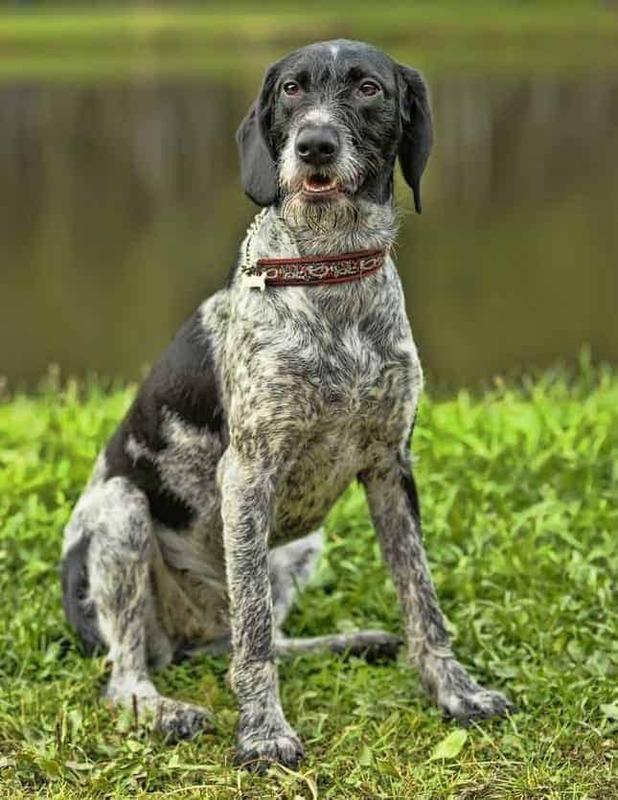 If a German Wirehaired Pointer adoption is best for your family, begin your search at the National German Wirehaired Pointer Rescue. They have adoptable pups all over the United States as well as information on the German Wirehaired Pointer breed. Adopting from a German Wirehaired Pointer rescue is great for those who aren’t looking to add a puppy to the family. Most dogs available for adoption are older, already trained, and much calmer than German Wirehaired Pointer puppies! Decided on a German Wirehaired Pointer for sale from a breeder? Your first stop should be the AKC Marketplace. Here, you can search for German Wirehaired Pointers breeders based on location, distinction, puppies available, and champion bloodlines. To find the perfect breeder, don’t skimp on research. There are a lot of reputable breeders but there are also non-reputable ones. A non-reputable breeder will not provide health certificates or be able to answer questions about the breed. They may have unsanitary German Wirehaired Pointer kennels and not treat their dogs and litters with respect. Reputable breeders, on the other hand, will be able to answer your questions, ask you questions in return, and be able to provide health certificates. And, they’ll have clean kennels! The German Wirehaired Pointer weighs between 50-70 pounds and will live between 14-16 years. Males stand between 24-26 inches and females stand between 22-26 inches. German Wirehaired Pointers have a double coat that protects them from cold and wet conditions. The wiry, coarse coat is around one to two inches long. Their distinctive beard and bushy eyebrows are more than just looks, they protect the face and eyes from cuts or scratches. Their coat comes in different combinations of liver and white. Like the coat, they have liver-colored noses, lips, and spots in the mouth. German Wirehaired Pointers require minimal grooming. Regular brushing will suffice and only bathe them as needed. They shed lightly year-round. Note: Few things are more important than our Health. It's no different with our Dog's Health. Some visits to your Vet can be prevented if only we knew what to do to keep our dog healthy. The Ultimate Guide to Dog Health is the answer. No dog owner should be without this handy guide. It's no substitute for your Vet but will help you quickly understand and recognize symptoms before they become a serious problem for your dog. The German Wirehaired Pointer is a highly active breed. They are sporting dogs who love outside activities – like long walks, runs, hikes, or play sessions in the backyard. Make sure they have enough physical and mental exercise to avoid boredom and destructive behavior. Conclusion: Why the German Wirehaired Pointer? The German Wirehaired Pointer is willful and stubborn, but they are also affectionate and loyal. While they can be aloof with strangers, they are very hopelessly devoted to their family. They are intelligent and eager to please, making them (almost) perfect training candidates. German Wirehaired Pointers are great with older children and will get along with dogs when raised with them. 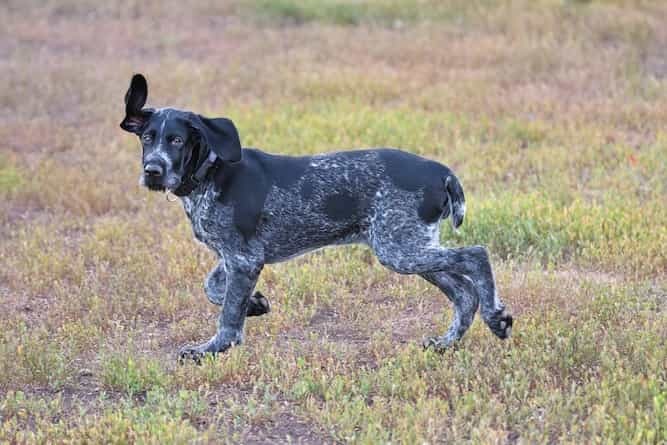 If you’re looking for a dog who has an independent, eager to learn, and active temperament the German Wirehaired Pointer should be your next companion. Previous post: Bearded Collie Temperament (Lively, Intelligent, Confident) Keeping Up!